This time we have Slovakia sticking out so we wouldn’t be fair if we don’t share few interesting sentences over this market. Slovakia is located in Central Europe. The capital and largest city of Slovakia is Bratislava. Estimated population: Population of Slovakia is 5,449,816 and mostly consisted of Slovaks. The official language is Slovak. Hungarian is also widely spoken in western regions and Rusyn is used in some part of northeast. Let’s take a look at some statistic data when it comes to internet usage on this territory. There are 4,629,641 Internet users in Dec, 2017, which makes 85.0% of total population. 98% makes 16-24 years old that log on daily, 91% are 25-34 years old, and 83% of 35-44 years old. The older generations log on regularly with 45-54 years old showing a 74% daily penetration rate while 64% of those over 55 logging on daily. Desktop vs Mobile vs Tablet Market Share in Slovakia in April 2018 was: Desktop (67.31%), Mobile (30.23%) and Tablet (2.46%). Operating System Market Share in Slovakia in April 2018 was: Windows (58.77%), Android (25.17%), iOS (6.98%), OS X (5.48%), Linux (2.42%). Social Media Stats in Slovakia in April 2018 were: Facebook (71.37%), Pinterest (13.95%), YouTube (6.82%), Instagram (2.64%), Twitter (2.37%), Tumblr (1.55%). 90% of online shoppers in Slovakia shop online via desktop. 4% of shoppers make purchases via smartphone, and 3% made their most recent purchase via tablet. 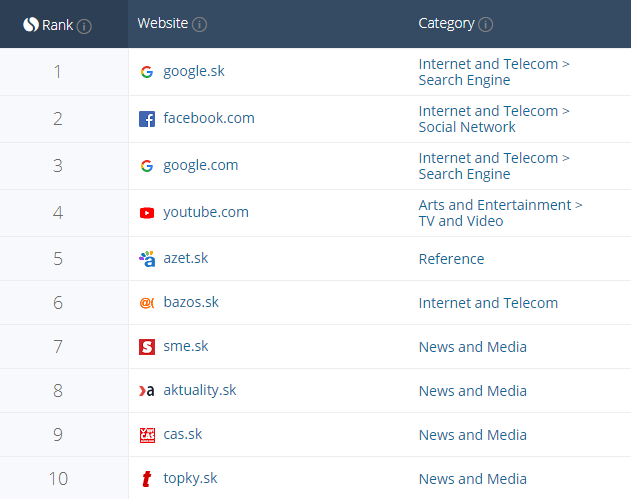 That would be it for now, hopefully you enjoyed reading our post devoted to Slovakian market and that you have collected some interesting information for your campaigns. Slovakia also belongs to group of markets with great potential and you should definitely consider to test it or spread even more. Feel free to check out Zetaniche offers for Slovakian market and start testing. As always, for any questions you might have, you can write us directly on support@zetaniche.com or Skype us at aff_zetaniche. Top offers of the week! Bonus: Saving energy sub-niche insights! Please check out the best performing offers of the week. Please feel free to log into your account and pick any to set your profit record! As always, we won’t skip to share some more interesting affiliate insights in our top performers post. 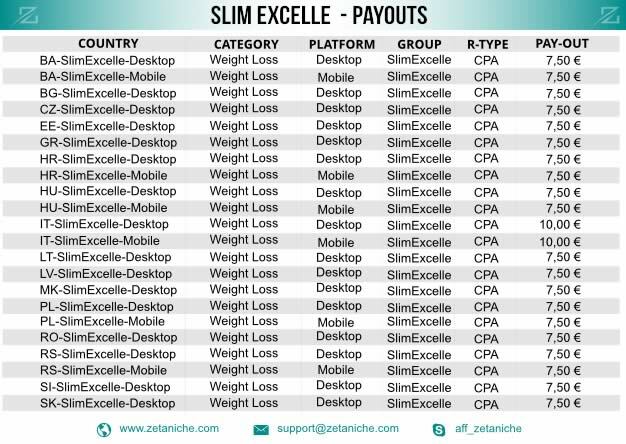 We are all aware that affiliate marketing is a great way to make money online, but on the other hand it is highly competitive, too. In order to be successful affiliate marketer, you not only need to know the market needs and promote products, but also learn what works and what doesn’t. Below we will try to present you some advantages of “saving energy” sub-niche, since offers in this niche are something that we have launched few months ago and so far they are showing phenomenal results. Promotion devices for reducing the energy consumption of household’s and office’s electronic equipment, is something that is very popular nowadays, where Zetaniche is giving its affiliates unique opportunity to communicate product information to targeted audience. There are many motivations to improve energy efficiency. Reducing energy usage reduces energy costs and results in a financial cost saving to consumers, which is definitely something that will attract audience of GEO’s Zetaniche is covering. Tesla Saver ECO is our unique, revolutionary and certified device in area of saving energy and reducing the consumption of electricity up to 75%. The device has been tested on 3 different European researches, after which he has been successfully certified in this field. Device is easy to use with built-in protection from voltage increases, intended for home or office usage. Tesla Saver is affecting all devices that cause network disruption and almost has no any competition on the European territory. Countries in which Tesla Saver ECO is available for promotion are Bulgaria, Czech Republic, Estonia, Greece, Croatia, Hungary, Latvia, Lithuania, Poland, Romania and Slovakia. 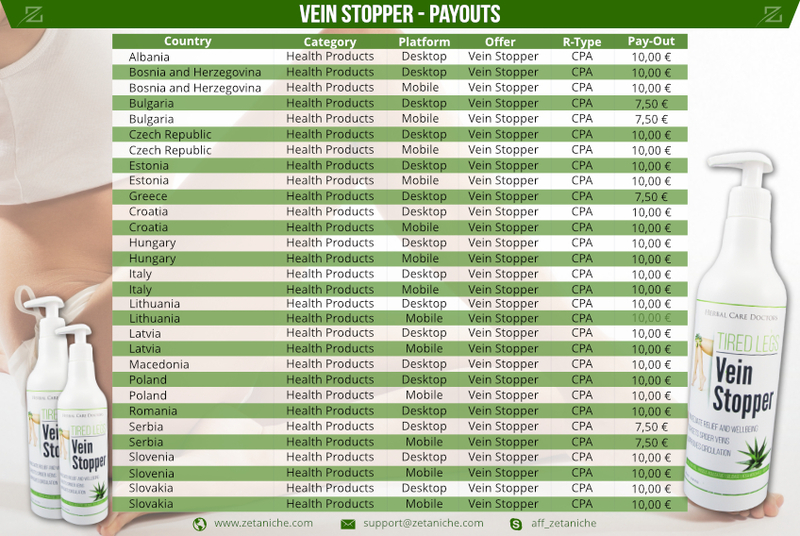 Payouts are €10,00, except Czech Republic, Croatia and Hungary, where we are offering you €7,50 pay-outs for triggering conversions on this product. Offer is available for promotion on desktop and mobile platform, both. Since Tesla Saver ECO is COD (cash on delivery) type of offer, conversion flow is: user comes to page, fills the order form and clicks on the order button. If order is valid the conversion is triggered. Our phenomenal offer Tesla Saver is available for promotion on banners and email traffic, while all marketing materials are made the way to attract local buyers in countries where offer is available for promotion. Why to start promoting Zetaniche offer in this sub-niche? Simple interface to access promotional materials, receive updates and review performance. That would be it, for this blog post, guys. If you haven’t already, please feel free to sign up in our platform, so that you can request this high-converting offer. Your AM will be in touch with you immediately after submitting your sign up application. Also, please feel free to write us on support@zetaniche.com of Skype us at aff_zetaniche, any time. we are entering April month with our Weekly Top Offers list! This time you will also find some attractive offers in some very attractive markets. Let’s check it out! Well, this is some quite nice list. You will notice our TigerHot offer that among others, also found it’s place in this week’s list. So, it definitely deserves a few sentences on our blog. In the following text we will try to bring you more closer to this product and we hope you will get the picture why TigerHot would be a good choice for you to promote it and make money. Pain in back more and more becomes a problem that lot of people are facing with. Anyone who is doing their job in sitting position at some point of their life will start complaining on pain in back. Also, we can’t exclude some usual daily activities that can influence on presence of pain in back as well. This brings us to TigerHot and solution that this great product is giving to it’s consumers. TigerHot is a unique solution for anyone who is experiencing pain in back but also pain in joint and muscles. It is very simple to use, safe and natural. Anytime person feels the pain, just takes TigerHot and puts on a painful spot. TigerHot helps with reducing pain and muscle tension, it also helps with arthritis and to get rid of pain in back. This awesome offer you can promote in following geo’s: Czech Republic (Payout: 7.50 €), Italy (Payout 10.00 €), Romania (Payout: 7.50 €), Poland (Payout: 7.50 €), Serbia (Payout: 7.50 €), Slovenia (Payout: 7.50 €), Bulgaria (Payout: 7.50 €), Greece (Payout: 7.50 €), Croatia (Payout: 7.50 €), Hungary (Payout: 7.50 €), Latvia (Payout: 7.50 €), Slovakia (Payout: 7.50 €), Lithuania (Payout: 7.50 €). TigerHot is available for desktop promotion in above mentioned countries. Of course, this TigerHot also belongs to our group of COD offers. This method is meant for people who prefer to pay in cash for their order once it is being delivered to them. This method is especially popular with people in countries where TigerHot is available for promotion. Here is the conversion flow for our TigerHot: visitor comes to the page, fill the order form and clicks on the order button. If order is valid, your conversion is triggered and you have just earned some cash for yourself. TigerHot you can promote via email or banner. As with all offers, all landing pages of TigerHot are also translated to local languages of countries for which promotion is meant for. Belongs to COD offers which is preferable payment method in countries where TigerHot is available. Well, our dear Zetanitians, we have come to the end of this blog post. We hope you have adopt some interesting information about TigerHot and that you will not just stay in mood of thinking about it, rather take some real action and start promoting it now!